Karana is an Indian girl that lives on an island that is shaped like a dolphin when you see it from above. She lives there with her family and tribe until one day a ship comes and tries to take over the island in order to hunt sea otter. The men on the ship capture and kill the village leaving Karana by herself on the island. Karana lives alone for many years until one day she finds she is no longer alone on the island. 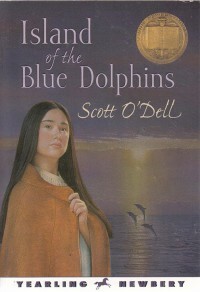 This novel incorporates a lot of survival skills and Native American women's history that could be incorporated into a lesson about people from other places moving Native Americans out of their homeland.